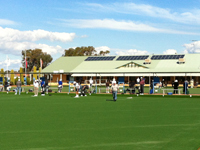 Welcome to the website of the leading Bowling & Recreation Club in the Murray Districts. Our Club is an excellent venue and can be utilised by members and the general public for a myriad of both bowling and social events. These include bowling events, meetings, lectures, staff training, weddings, wakes and other social functions etc. 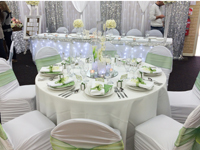 We have four synthetic first class 40 metre bowling greens, comprising 26 rinks and our function area boasts a large commercial kitchen, a twenty seat meeting and lecture room and a function room capable of seating 200 people, expandable to 300. Our Club is well represented in the bowling area with teams in all divisions of the Pennant Bowls competition, both Ladies and Men, for both Saturday and Midweek events. 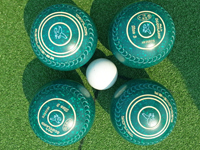 In addition, a wide program of social bowls is available all year around. You are welcome to our Club and we invite you to look through our website to see what we offer. Enjoy a game of bowls or the wonderful social atmosphere and bring your friends along. You won’t be disappointed. "SUPPORT THOSE WHO SUPPORT US"
JOIN TODAY. Halls Head Bowling Club welcomes new bowlers. See further information on Membership Categories and access to the Application Form. Halls Head Bowling Club is an ideal location for your dream wedding reception. With facilities considered by many to be some of the finest in WA, you and your guests can relax and enjoy a truly memorable occassion in wonderful surroundings. Our Club is renowned for the variety of social activities available and the friendliness of its members. 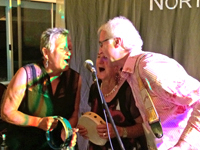 Come and join in the social activity at our Friday night Social. You can see all of the available social activities, including bingo, from the link below. We are situated in Mandurah, Western Australia, gateway to the famous hospitality and wine growing areas of the South West. Mandurah's treasured golden beaches and beautiful Peel Inlet are within a short distance from our Club.